Recently I had the opportunity to sit down with representatives from Knoll at their offices and showroom located downtown on Stuart Street. We discussed upcoming lines and also a new exhibit at the Boston Architectural College. 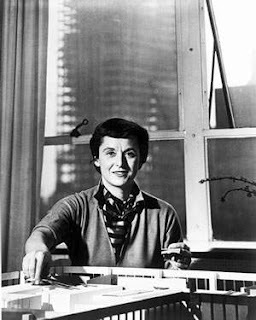 The exhibit features 10 pieces designed by the visionary Florence Knoll. The pieces in the exhibition illustrate Knoll's interpretation of Modern design and how it functions in commercial and residential spaces. The exhibit began on October 4th and goes through October 25. DesignBoston Contest - Win an AppleTV! Coming Soon: a DesignBoston Contest!